Nick Davies, probably The Guardian’s most famous reporter, is to retire in September some 40 years after he first joined the paper. Davies is best known for his work investigating hacking at the News of the World and exposing the subsequent cover-up at the paper (mainly from 2008 to 2011). The scandal led to the closure of the News of the World, the hacking trial, Leveson Inquiry and the replacement of the Press Complaints Commission with the Independent Press Standards Organisation. Davies also brokered the deal with Julian Assange which led to The Guardian publishing the Iraq War Logs investigation in 2010 based on files leaked to Wikileaks. He worked at The Guardian as a messenger boy after leaving university in 1975 and returned as a reporter from 1979 to 1985. He rejoined the paper on a freelance contract in 1989, with a wide-ranging remit to carry out investigations, and has been freelance ever since. Davies’s books include Flat Earth News, published in 2008, which investigated ‘churnalism’ and distortion on Fleet Street. 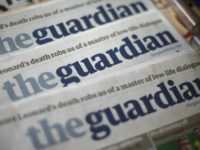 He leaves The Guardian shortly after his friend Alan Rusbridger, who joined the paper at the same time as him in 1979. Rusbridger stepped down as editor a year ago and resigned from the body which owns the title, the Scott Trust, in May after previously planning to chair it. A giant of our times. Thank you for your bravery and immensely hard work.